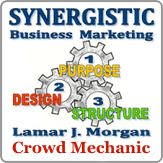 Synergistic Business Marketing is as much a mentoring effort as a it is a business. 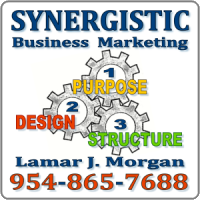 Here, we spread our knowledge to help others with their business endeavors as much as we do to help our own. This is not so much a mission statement as it is a way of life. "Givers Gain" has been the mantra for many years and remains at the core of how our business operates. We began our mission in Hidden Lake Valley California and moved to the Ft. Lauderdale area in Florida in late 2009 to aid in completing our mission on both coasts. A necessity at the time, but a blessing in the long run.